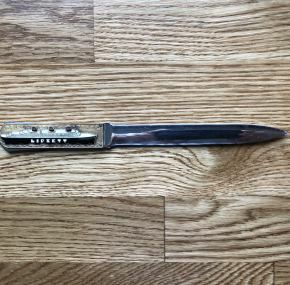 One of the most important items I have ever sold from Normandie! 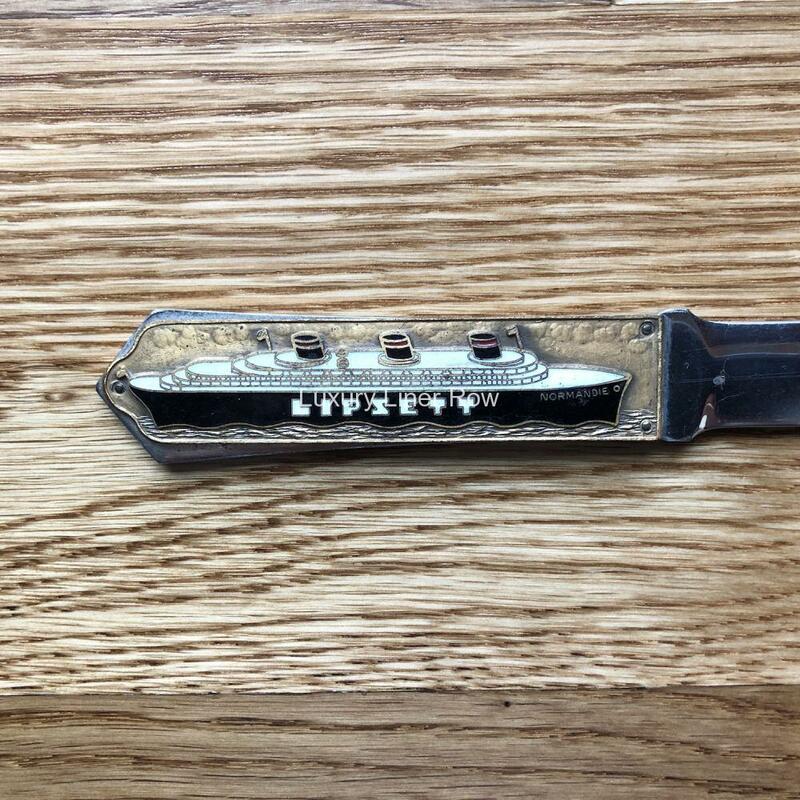 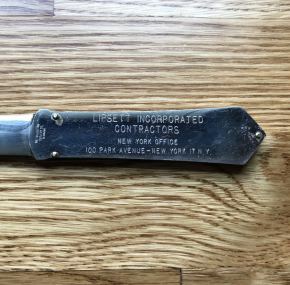 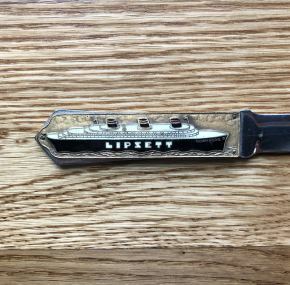 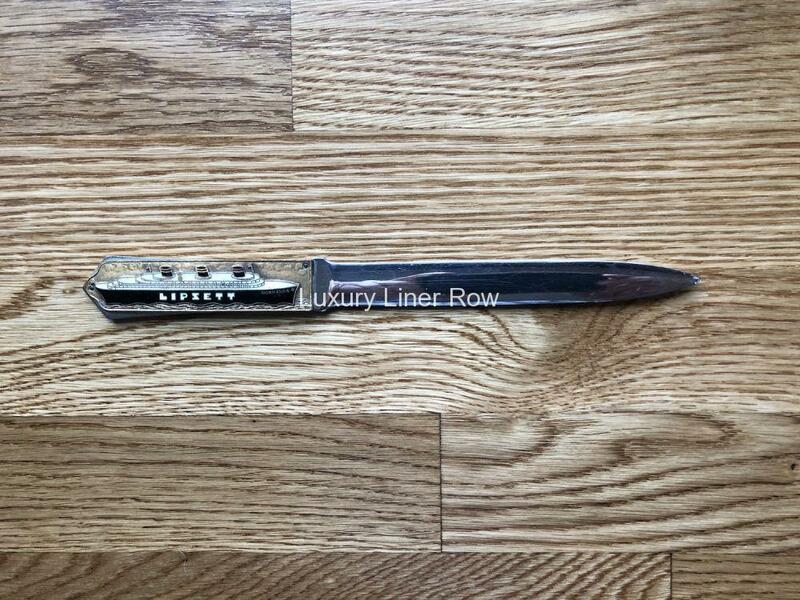 When Normandie was broken up, Lipsett (the company which scrapped her) was so proud of their work that they produced a limited edition letter opener using metal from the great ship. 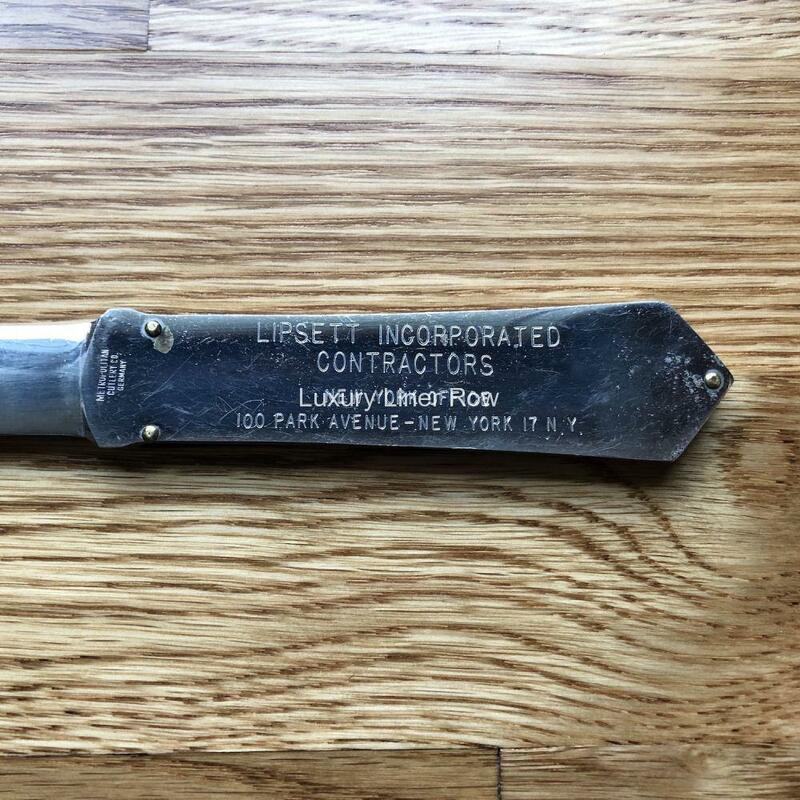 This item comes from a gentleman whose grandfather worked for Lipsett during the scrapping of the liner.